Endorsements, freebies, being invited to the hottest events and even taking photos with celebs regularly – who wouldn’t want to be Instagram famous? People have shot to fame on Instagram for the simplest and most bizarre of reasons and seem to be living the life we yearn for from what they post onto their feed that it leaves us green eyed with envy! Below are some tips on how to become Instagram famous. Write a meaningful and eye-catching bio, explaining who you are and what you do. People should be able to know what you do from one sentence, so keep your bio, short, relevant to your niche and snappy! Another way you can make your bio meaningful is by writing about what you believe in, as this helps differentiate you from others in the same field as you. You could try using humor or including achievements such as awards and nominations. Use proper spellings and refrain from unnecessary abbreviations. Also, have your actual name in your bio because people will need to know your name if you want them to be familiar with you. Your bio is the first thing that people see when they view your profile, therefore, it should be reflective of your brand. When your Instagram bio is well composed, informative and interesting, it will impress viewers and they be more likely to click the follow button. Research trends relevant to your niche and see what makes your ideal audience tick and incorporate that into your social media strategy for increasing your popularity online. You can find out more about what people like by going on your ‘explore’ page regularly or searching for particular hash tags (again, ones that are relevant to your niche). From analyzing the explore page on Instagram, it can give you a great insight as to what will get you the most likes and increase your following count. Finding your niche is the key in how to become Instagram famous. Once you have found your niche and only upload niche-related posts, it will be easier to attract people who share the same interests as you. Speciality photos on Instagram gain a lot of traction because they are focused on one theme and don’t digress from it. 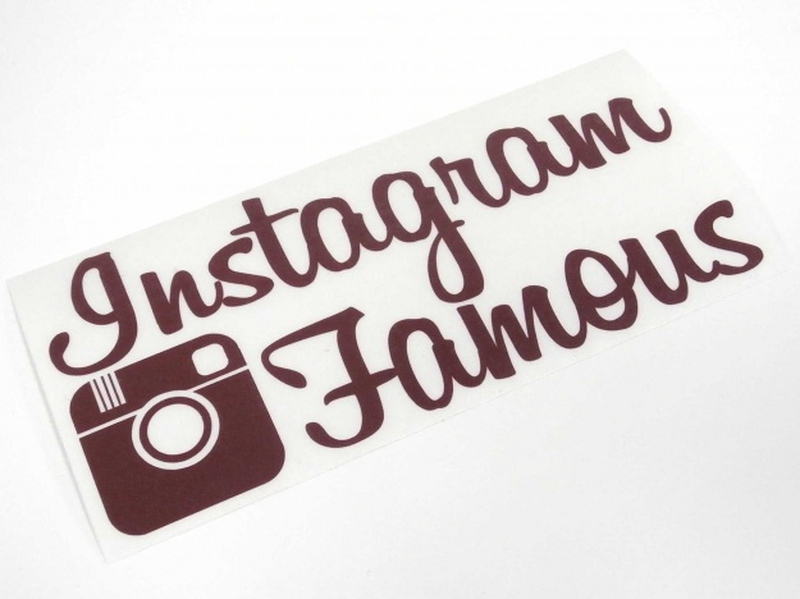 If you find your niche, how to become Instagram famous can be really easy. Instagram offers limited filters which can be quite restricting, especially if you want to be more creative, so it’s worth investing in a good photo editing app. There are some amazing apps you can download such as: Afterlight and Snapseed. You will be surprised at how different your photos look when you make the tiniest adjustments such as increasing the brightness, blurring or cropping things out. It’s as simple as that. Only showcase your best photos. Quality is so important and people are attracted to that, so if you consistently post your best selection of photos, people will be more inclined to follow and share your pictures. Think of your Instagram as a portfolio that has to be perfect. You wouldn’t include anything that you thought wouldn’t impress people, would you? Hash tags are there for you to get discovered quickly and connect with like-minded people. Hashtag words that are relevant to your niche and if you want to hash tag a popular word then make sure it reflects your photo too. Using hash tags that don’t coincide with your image will just make it obvious that you just want likes and popularity which can actually discourage people from following you. Quirky and smaller Instagram communities have unusual hash tags that could gain you lots of traction, especially if it is quite niche specific. Take advantage of using unusual hash tags, as it’s a great way to gain favor within smaller online communities and groups of people on Instagram. Followers expect to know when you’re most likely to post photos so if you’re going to make it a daily thing then make sure you stick to it. If you want to post 2 to 3 times a week then make sure you do that too. Posting pictures consistently makes it easier to gather a loyal following. When you post pictures inconsistently, people will lose interest or forget about you quickly so you have to stay fresh in their minds. You wouldn’t ignore a person who came up to you in the street and asked you where you bought your shoes from would you? The same principle applies online too. Engage and interact with your followers as much as you can, as this builds loyalty and can increase your popularity. Talking to your followers helps them remember and become familiar with you and they will be more likely to support what you do. Keep your engagement levels steady and be careful not to overdo it as posting too many photos (for example: three or four in a row) could be annoying as well as overwhelming and could result in losing a follower. Joining a contest is a great way to increase your popularity online and also create brand awareness. How it works is by getting people to like, comment or share a specific thing for a chance to win a prize. It’s a great way to attract a lot of attention and gain popularity if you have regular contests. Interaction between other Instagram users increases which is essentially the key to becoming Instagram famous. This can be achieved by bringing something different to the Instagram community. Share things that are unique and original because people appreciate that more. You can inspire fellow Instagrammers by participating in popular online projects or meeting up with like-minded people through an InstaMeet. Be aware that, according to the rules of Instagram, only people who follow the community guidelines of Instagram will be highlighted.